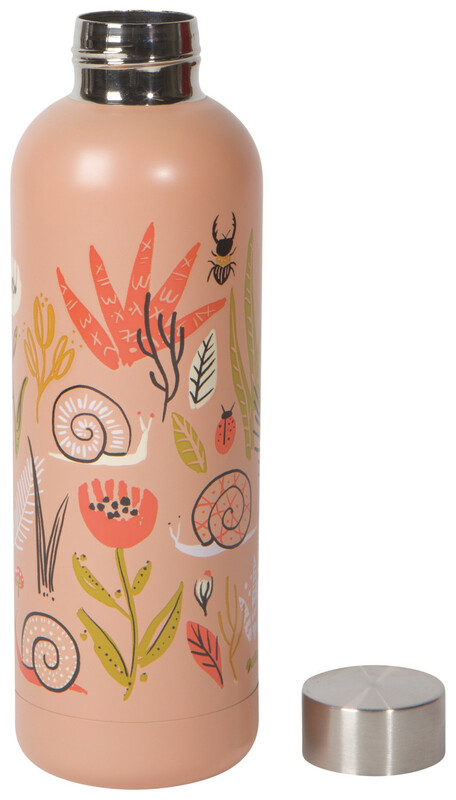 Make hydration beautiful with this stainless steel water bottle featuring a world of botanical beauty with insects inching at their own pace. The showstopper packaging ensures that it is merchandising and gift ready. Keep cool liquids cold for 24 hours and hot liquids hot for 12 hours.